Intel on Monday announced what it called its fastest chip to date for PCs, the six-core Core i7-3960X Extreme Edition processor, which is based on the Sandy Bridge microarchitecture and designed for use in high-end desktops. The chip is targeted at enthusiasts such as gamers, who usually are early adopters of the latest technologies. More cores and faster clocks speed up PCs and are valued by gamers, who demand peak performance when playing graphics intensive games. (See PC World's lab tests of the new processor. The Core i7-3960X runs at a default clock speed of 3.3GHz, cranking up to 3.9GHz per core depending on performance required. 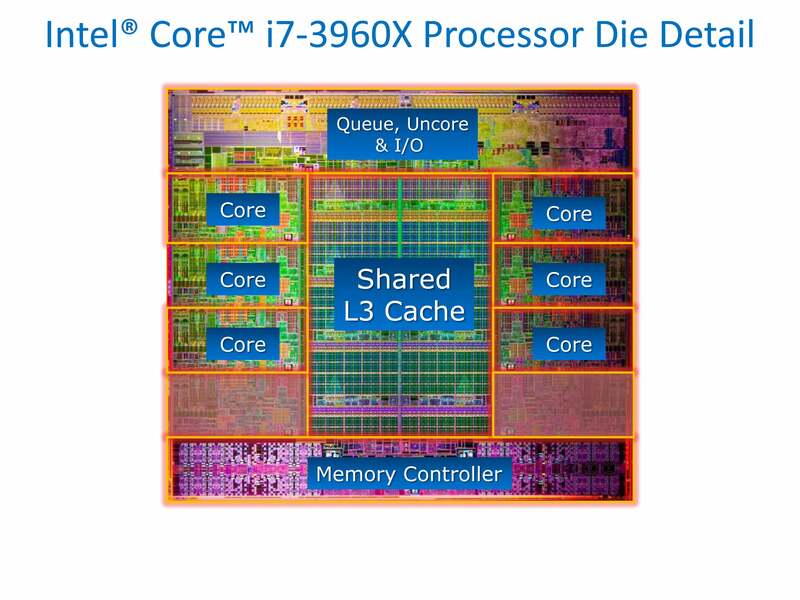 The chip has 15MB of cache and four channels of memory, also the most available on Intel PC chips to date. The chip is about 52 percent faster in video editing than the Core i7-2600K chip, which is also based on Sandy Bridge and targeted at enthusiasts. The memory performance is up to 114 percent better, Intel said. The Core i7-3960X will succeed the Core i7-990X Extreme Edition, which was the fastest chip based on Intel's previous Westmere architecture. Intel and AMD are adding cores and ratcheting up clock speeds in an effort to gain the chip performance crown. AMD in September demonstrated its eight-core FX processor running at 8.429GHz in a system, which the company claimed broke the world record. Intel also introduced the six-core Core i7-3930K chip, which operates at 3.2GHz and can be clocked up to 3.8GHz. The chip has 12MB of cache, four memory channels, and is priced at $555.